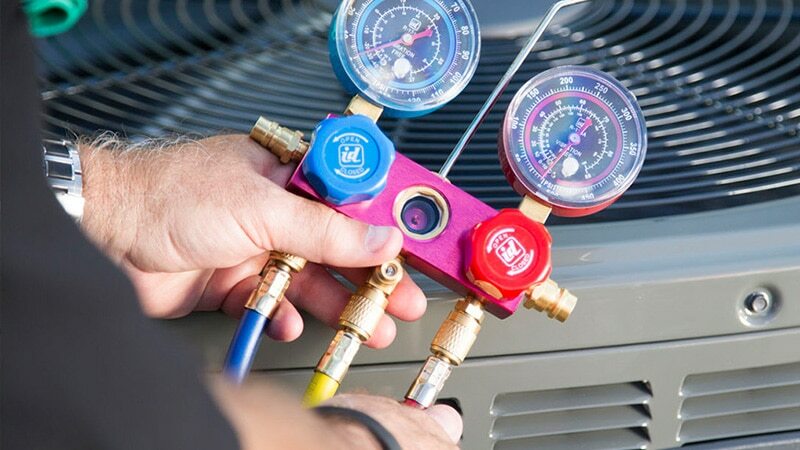 From Routine Maintenance To Repairs and New System Installs, 203 HVAC Can Help Make Your Home Cool and Comfortable All Summer Long. Whether your home has a central, ductless, other type of air conditioning system, you need service you can rely on to keep you cool all summer long, and our experts have the experience to handle your home’s ac and cooling needs. No matter the issue, 203 HVAC can solve your cooling problems. We work with all different types and brands of air conditioning systems including central air, heat pumps, ductless mini split, and geothermal cooling systems. We provide air conditioning repair in Fairfield, Bridgeport, Stratford, and all over Fairfield County. Contact us today to schedule your ac repair service. When it comes to keeping your home cool in the warmer months, your air conditioning system plays a critical role in providing comfort all summer long. In Fairfield County, we can expect to rely on our air conditioning in the summer. As we all know, there is no perfect time for your air conditioner to not work. Of course, when this happens, it’s going to be on one of the hottest days of the year when you count on it to work harder. The last thing you want to worry about is whether or not your home’s cooling system is going to work when you need it to. If your cooling system needs repairs, count on 203 HVAC to thoroughly inspect your ac and provide you with a solution. If your home’s current air conditioning is not running as effectively as it has in the past, it has more than likely end of its service life. While we never want to have to replace our air conditioner, most new air conditioning units are much more energy efficient, so you will save money long term. If your home is in need of a new air conditioning system, there are a number of options. Almost every model of ac unit are much more energy efficient than in the past. This will not only help you lower costs over time, but the cooling system will last longer since it will not need to work as hard as before. While these are just a few signs that your air conditioning needs to be replaced, it is best to consult a professional before jumping to conclusions. 203 HVAC is Fairfield County’s air conditioning installation and replacement service professional serving Stratford, Bridgeport, Fairfield, and the surrounding areas. Our team has the skills and experience required for all central and ductless air conditioning installations, replacements, and more. Contact us today to get a free air conditioning replacement or installation cost quote. No one wants their air conditioner to stop working. The best way to prevent ac failure is with proper maintenance. Proper maintenance of your air conditioner helps it run more efficient all summer long. It is best to get your home’s air conditioning serviced every spring before you need it most. Scheduling ac maintenance in the spring helps you not only test the system, but give you time to make any repairs before the warmer months come. Annual maintenance helps homeowners avoid costly failures and helps air conditioning systems last longer. When looking at costs, it is far cheaper to have your cooling system maintained than needing to pay for expensive repairs or replacement services. Before you rely on your air conditioning all summer long, it is highly recommended to schedule annual maintenance. Contact us today to get an air conditioning maintenance price quote! LOOKING FOR AIR CONDITIONING SERVICE?